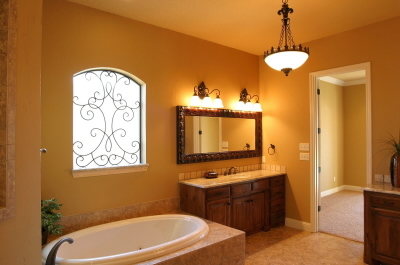 You are here: Home » Bathroom » Remodeling » Bathroom Remodeling 101: What Style Fits You? Ready to remodel your old fashion bathroom? Congratulations on taking that stressful step and welcome to the perfect place to help you out with your new design! When you’re trying to plan out your new bathroom, it’s first important to consider what kind of bathroom style you want to accomplish. There are plenty of different bathroom styles out there so in the end, it’s just comes down to which one you like best! Modern Style: it’s a contemporary look that has a fantastic feel to it. There are so many different types of contemporary sinks, showers, faucets, and showers to choose from to make your modern bathroom unique. Nautical Style: with this design, you have the look and feel of the ocean with seashells, starfish, or sailboats. This allows your creative range to be endless since it pure imagination. Luxury Style: this is a top class design filled with all the amenities that you can imagine. It can include any of the following: spa baths, jet tubs, fog free mirrors, electronic facets or even towel warmers! It’s up to you to decide. Contemporary Style: it’s a minimalist style design that has a unique balance of simplicity and functionality. It’s modern but, but can be something that you’ve never seen before in a bathroom. Of course, the size of the bathroom that you’re working with is important when considering which style to go with, but in the end you can make do with what you’ve got. Now that we’ve covered the basis for the design in remodeling a bathroom, CK Custom Kitchens will go over each style in depth over the next few weeks to give you a better understanding of them. Also, if you’re looking for Kitchen renovations on the Outer Banks, our experts can help. Please leave a comment and let us know!